Lasik is a type of refractive surgery which corrects discrepancies in vision resulting in perfect vision without the assistance of glasses. Lasik is an acronym for laser assisted in-situ keratomileusis. Lasik as a corrective eye surgery was first performed in 1989 in Europe. It received FDA approval in 1995. Since then Lasik had become the most routinely performed eye surgery. From the initial data available of the budding stages of Lasik, the rate of efficiency was as low as 40% with negative reports of 6.8% patients losing more than 2 lines of vision. Steps of surgery in the past involved numbing of the eye using topical anesthetic drops. Using a specialized tool called mechanical microkeratome, a fine wafer-sized hinge flap was created. The flap was folded over to expose the excimer laser over the central cornea to reshape it. Post reshaping, the cornea was returned to its original position and left to self-heal. Evaluation of the success of Lasik procedure shows that over 90% of patients showed 20/20 vision and only 2-6% lost 2 or more lines. Over 10 million Lasik surgeries have been performed worldwide from the time it came into existence. Patient satisfaction has risen to 95% owing to the improvements in the field in the span of 20 years. The first step of progress in the procedure led to the replacement of microkeratome blade with laser energy leading to the introduction of the femtosecond laser. Those patients who were previously ineligible for Lasik because of thin cornea could now benefit from surgery.  SMILE: There is no use of excimer laser. The procedure is started using femtosecond laser.  ASA (Advanced Surface Ablation): Excimer laser is applied onto the cornea directly skipping the step of flap creation. 1. Wavefront optimized Lasik: Also referred to as wavelight laser, here the treatment approach is dictated by eyeglass prescription. 2. 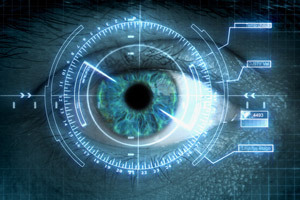 Wavefront guided Lasik: Also known as custom Lasik, here the most advanced technology takes into account the consolidated eye aberrations and the data are fed into the computer to customize to address the corrections. which have made the already safe procedure safer. In conclusion, iLasik now is safer, more precise, and effective as compared to its initial days, post clearance of FDA regulations.